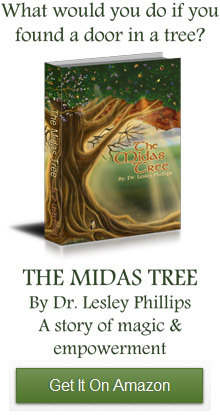 Devina is the divine female essence of the Midas Tree. 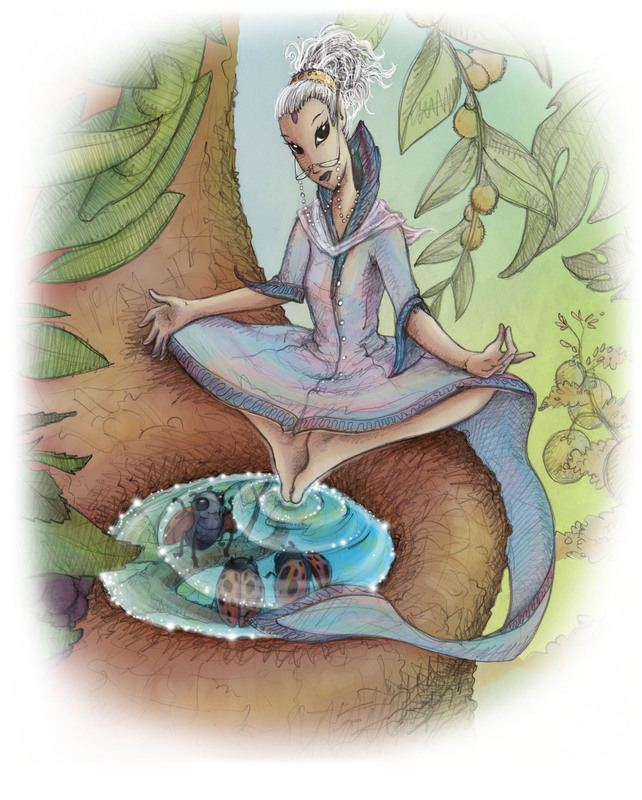 She oversees the female energies of the tree and all of the female aspects of creation, such as incubation, maturation and ripening of the fruit. As well as proliferation of new plants and the expression and manifestation of stored potentials. Her assistants are the rainbow colored devas. Devina teaches Joshua how to use his spiritual sight to see what is happening in other parts of the tree. As well as how to talk with and teach its creatures using spiritual forms of communication. Devina is ethereal, tall and thin boned with white hair knotted in a straggly bun on the top of her head. She has beautiful piercing blue eyes, wears a sky blue robe and silver spectacles perched on the end of her nose and held in place by a silver chain. Her name “Devina” means beloved, divine and heavenly.